Melissa is our Public Allies Fellow in Visual Art. She is responsible for facilitating students’ exploration of artistic methods and self expression. Melissa was raised in Winston-Salem, North Carolina. She headed west for college and earned her Bachelor’s degree in Education with a minor in Studio Art from Colorado College. 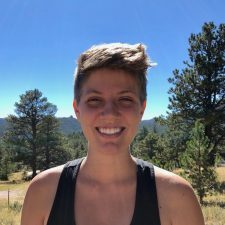 Outside of classes, Melissa was also a trip leader and co-chair of the Outdoor Recreation Club, a member of the Student Organization for Sexual Safety, and a Residential Advisor. Since graduating in 2016, Melissa has been teaching and traveling with numerous semester and exchange programs, including the Alzar School, The Traveling School, and the Tandana Foundation. She’s passionate about helping teenagers discover their potential and ability to create their own pathways while making change in this world. In her free time, she enjoys scribbling, being outside, journaling, and keeping up with friends and family. My favorite thing about Eagle Rock is the laughter and care.